Founded in 2008 by attorney Beth Rogers, we have grown to become one of the largest woman-owned creditor rights law firms in the entire southeast. With years of experience focusing solely on bankruptcy and other lending issues, our attorneys have the skills and resources to provide efficient and effective solutions based on our clients' needs and objectives. Trained to resolve issues before they become problems, we seek litigation only when necessary; however, we will aggressively advocate for our clients' best interests in court if needed. 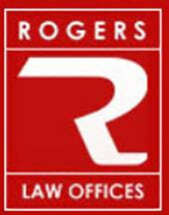 As we deal with a wide range of clients, including national and regional lenders, secured and unsecured creditors, corporations and small businesses as well as private individuals, Rogers Law Offices is equipped to handle any case regardless of the complexities involved. Anyone with a legal need related to one of our practice areas can contact our law firm to schedule a free initial consultation. House Bill 956, Common Sense Civil Justice Reform Act and Senate Bill 565, Product Liability Reform Act, 21 V.